← 12 Days of Christmas 2015! Welcome to Day 1 of my 12 Days of Christmas 2015. Over the next 12 Days you can look forward to posts that will include easy, elegant and inexpensive decorating ideas, craft ideas and gift ideas. I’m starting off with this adorable Mini Hat Ornament. I first saw it on Pinterest via goodknits.com. 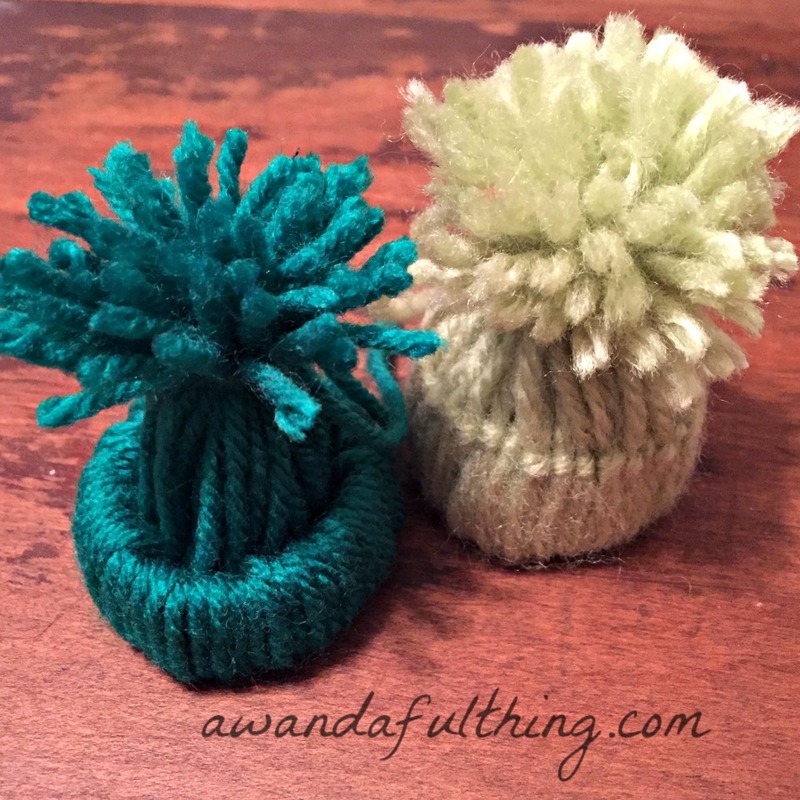 They are so easy and cute you’ll want to make lots before Christmas. To begin, flatten out your toilet paper tube. With your ruler measure sections that are 3/4 of an inch wide. Use your pen to mark the width and then with your scissors make your cuts. Then measure and cut yarn strands approximately 12 inches long (I used about 40 strands per hat). Next sl ip the loop from one strand of yarn through your paper tube. Loop it around the two ends and pull tight. Keep going all the way around the tube. Make sure you have enough strands to cover the paper but don’t squish the yarn too closely together. Trim the loose strands to form a puff-ball. Make it as fluffy or as short as you want! 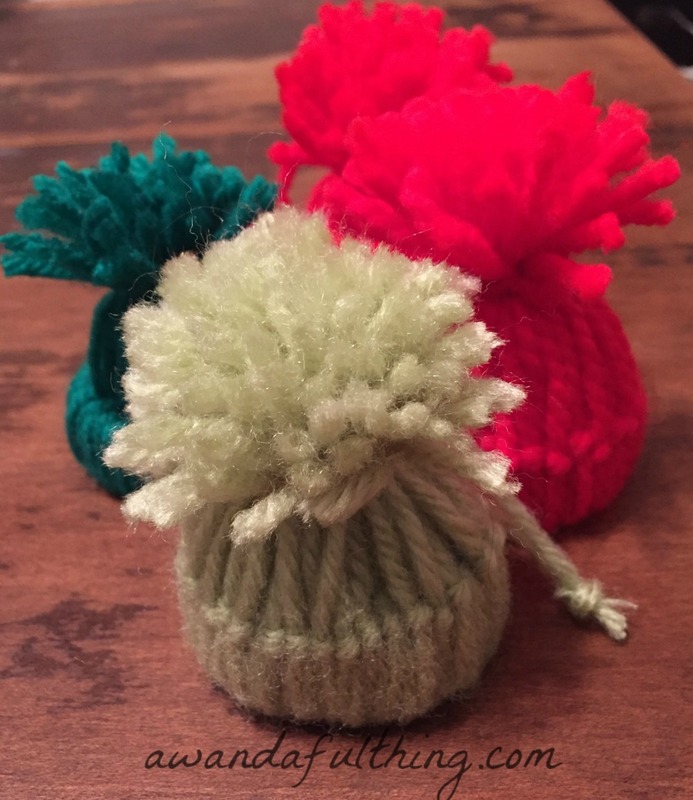 You can add an ornament hanger or tie another piece of yarn around to use as the hanger and Voila you have an easy, adorable mini hat ornament to hang on your tree or to give as a gift – who wouldn’t love to receive one of these?? 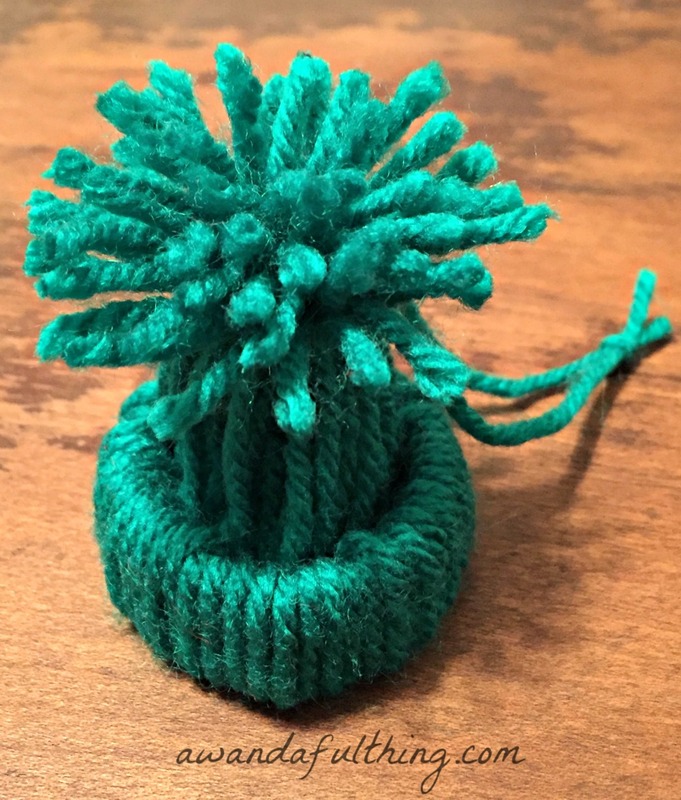 Day 1 – Mini Hat Ornament – It’s A Wandaful Thing! 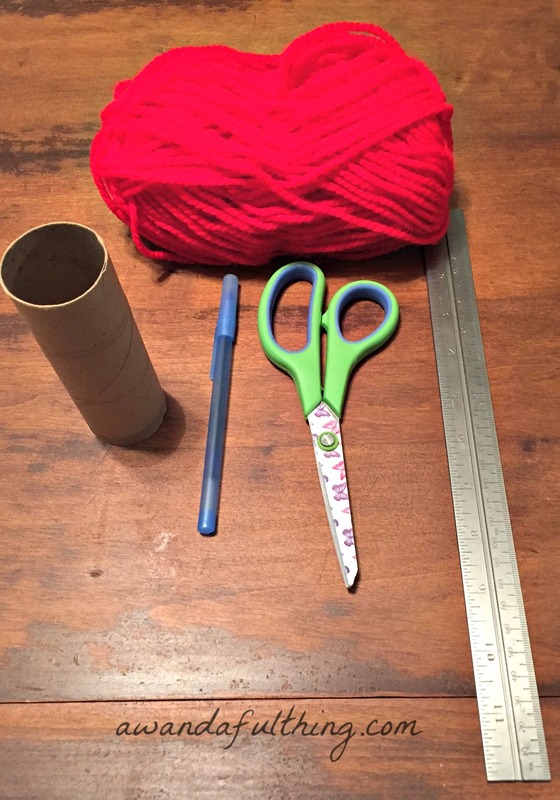 This entry was posted in Decorate, DIY and tagged 12 Days of Christmas, Christmas, craft, Crafts, Decorate, DIY, easy, hat, inexpensive, ornament, repurpose, reuse, ruler, scissors, simple, toilet tissue tube, yarn. Bookmark the permalink.